Here is the date for your calendar: on 9 July 2011, from 11 am we hope that you'll be busy taking part in the Club Championships. 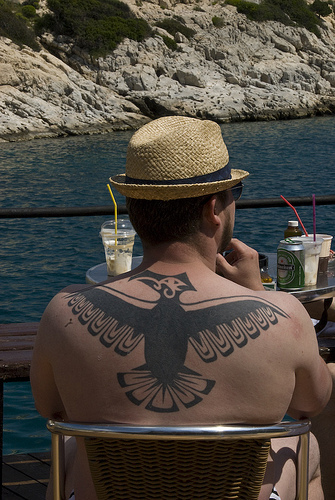 The awards and the thirst quenching ceremony will take place from 5.30 pm at the Eagle, 2 Shepherdess Walk, N1 7LB. 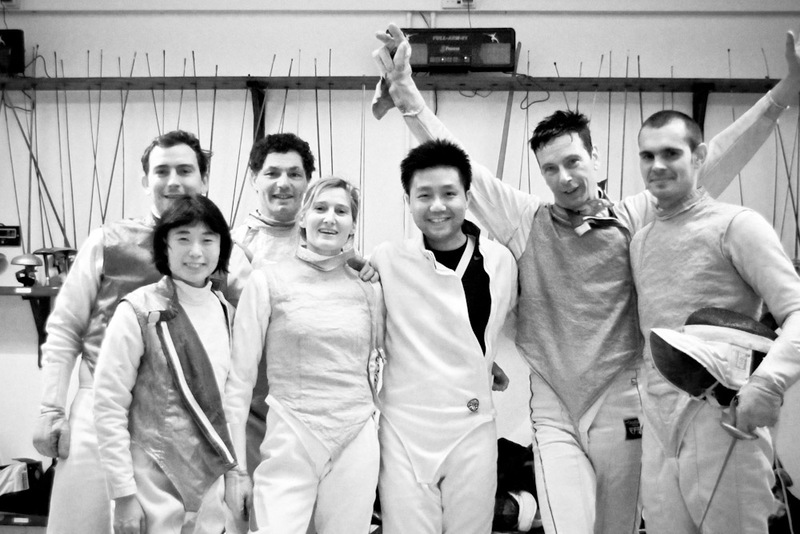 All members, from seasoned fencers to recent beginners are invited to take part. We expect a hot contest in all weapons with the defending Champions fighting the new and determined challenge. Champions 2010! Please return the Cups you won last year for engraving and passing to the future Champions! 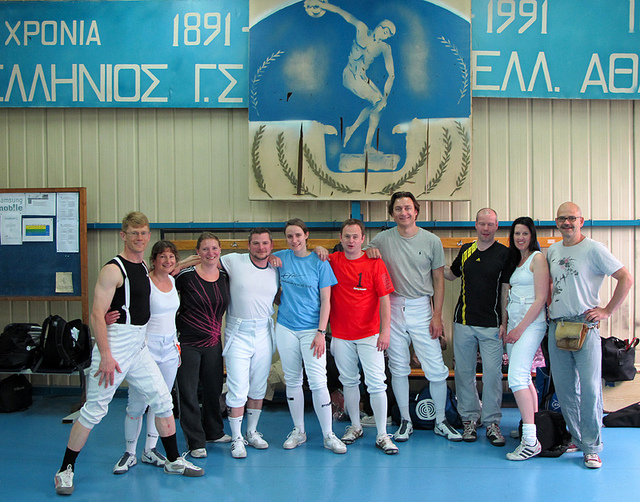 In early May our mixed dozen of sabre and foil specialists has visited Panellinious club in Athens. 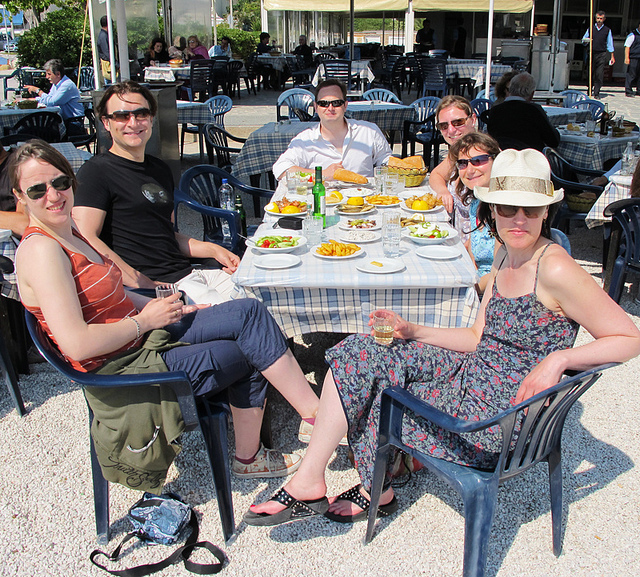 We also visited a number of tavernas, museums, bars and the Aegean sea. It was a fantastic trip: let the pictures to speak for themselves. 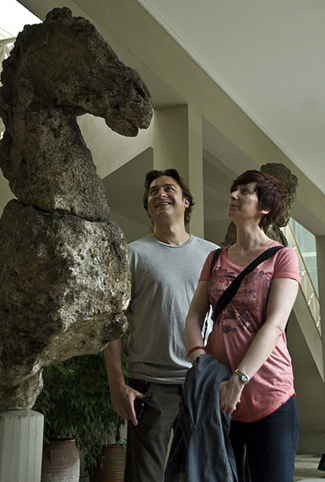 We'll be forever grateful to our former club member and native Athenian Yannis Chronopoulos who was our relentless guide and restaurant companion. Let his tzatziki be always creamy and fresh! Congratulations to Amie, Chrissie and Rachel who won the 3rd place in Tournois des Quais de Seine which took place on 8 May in Paris. In women's part of the tournament were 13 participating teams. Our girls won all their matches in the poule seeding 1st. The score in the lost semi-final was 43-41. Our men's team didn't report their result, I'm sure they had a fantastic time. 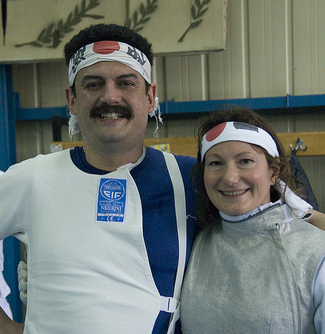 This annual epee tournament is very well organized and welcomes international participants. Do consider it as an alternative to your next visit to Champ d'Elise . Laurent is now giving individual lessons on Saturdays from 2 pm to 5 pm. Those are probably last weeks when he's so freely available: his Knowledge training is coming to an end and soon we'll probably see him more in a black cab rather than in a black coaches' jacket. Enjoy while it lasts! Rebecka has returned to Sweden for the summer break. We look forward to having her back in September. In the meanwhile we have a new coach and the epee specialist, Mr Silviu Florescu who will be available for lessons on Mondays and possibly on Thursdays. Mr Florescu who is 27 won many competitions in his native Romania is keen to share his experience and passion for the sport. I am Dr Giovanni Dalla-Valle and I am doing a Master in Sport Medicine at the Queen Mary University of London. Like you, I am a fencer myself and, like you, I have a great passion for fencing. 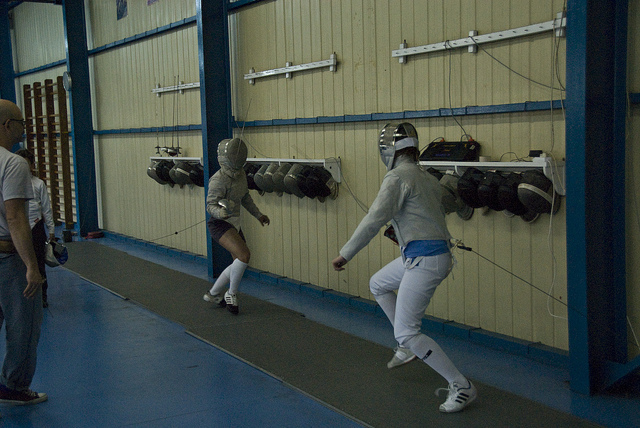 You may not know that modern fencing has been around for four centuries. In this time various books and written material has been published on the sport, yet very little scientific research has actually been undertaken. For the current research project, I aim to investigate the biomechanics of the lunge attack, to see what is behind the speed of human sequential movements and how we can improve it with better training. We need trained fencers like you to help us and it does not matter what level you are or how long you have been fencing for. Below is the link to a screening questionnaire which is important to gather relevant data for our study and see if you are suitable for it. The questionnaire only takes 10 minutes to be filled in and your data will be treated with maximum confidentiality, will only be used for the purpose of our research and will never be disclosed to third parties (including your own club) without your permission. I hope you will have fun in filling the questionnaire and I am looking forward to seeing you soon. Mile End Hospital, Bancroft Road, London, E1 4DG. Many of the exquisite members' clubs in London pride themselves in practising the skills of the sword. Yet, it's only The Lawnsdowne Club which a dedicated fencing Salle! Our triple-A team of foilists Albert, Armando and Antoine has visited the salle at Lansdowne last month for a friendly match which they won. In exchange Lawnsdowne fencers visited us at Finsbury leisure centre for the epee leg of the match which they lost. It was a great pleasure to visit and be visited, and still retain all the legs. Next year let's do it again!